Taking a screenshot of your computer is an operation to know absolutely! This allows you to crystallize an event forever, or more easily get help on computer forums by allowing those who help you to properly identify your problem. You can also use it to capture an image on a website that refuses the image copy In short, you will understand: Today I will show you how to make a screenshot on Windows with four different methods! For some of you it's an innocuous operation, but it's not for everyone! 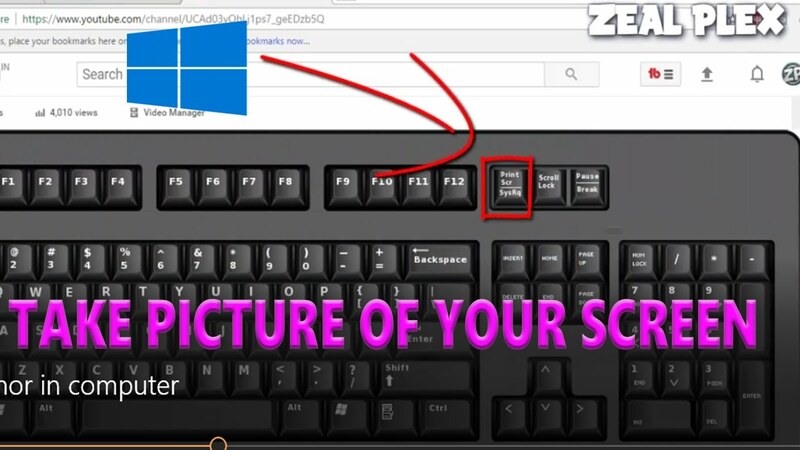 In addition, there are different ways to make a screenshot of your computer. I will offer you four methods , learn to use all four and choose the one you prefer! If you are looking for the easiest way to take a screenshot of your PC , the Windows screenshot tool is perfect for you! It does not have many options but it has the merit of being integrated into Windows (since Vista), so you do not need to download and install software. Run the Windows Screenshot tool by entering the term "capture" in the Start menu and then select Screen Capture Tool . Free Form Capture : allows you to select the area to be captured "on the fly" with the mouse. Rectangular Capture : allows you to precisely select an area of the screen. Window Capture : Capture the window of software displayed on the screen. Full screen capture : captures the entire screen. Then, nothing more simple: click New and then select the area of the screen that you want to capture. Once the area is captured, you can either save the capture to your computer or e-mail it. You can also write or draw on them by selecting the Pen and Highlighter buttons. An eraser button is there to delete the lines you have drawn. That's it, you know now how to take a screenshot ! 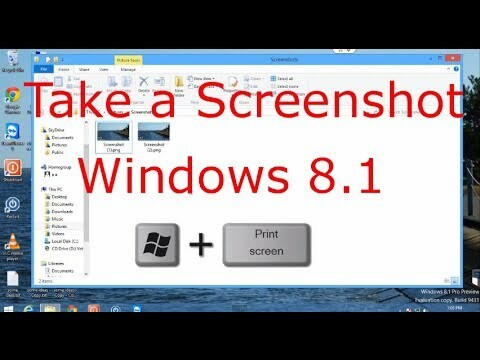 This method is for those who have a version of Windows that does not have the screenshot tool that appeared on Windows Vista. This is the most rudimentary solution because it only allows to take a capture and place it in the clipboard. Afterwards, you will need to use Paint or your photo editing software to paste the captured area and edit it to keep only what interests you. To capture the entire screen : Press the Print key. Screen or Print Screen of your keyboard. To capture only the active window : Simultaneously press Alt + Print. screen. Then open Paint or your photo editing software (such as GIMP or Paint.NET) and make Edit > Paste . Your capture will be displayed in the software. You can resize, crop or select only part of the image. After that, all you have to do is save your screenshot and you're done! Install GreenShot as you would with any software. Do not forget to select the French language in the Additional Languages area to have GreenShot in French. Start GreenShot . Unlike the Windows capture tool , the software takes place in the notification area. Before using GreenShot , I recommend that you go to the software options by left or right clicking on the GreenShot> Preferences icon. General Tab: You can choose to launch GreenShot when Windows starts and set keyboard shortcuts to capture a specific area of the screen. Capture tab: you can, among other things, choose to capture or not the mouse pointer . Output tab: Choose the default folder in which GreenShot will save your screen captures, the file name template (click the question mark for details) and the image format. Destination tab of the screenshot : leave check Select dynamic destination otherwise select the operations that GreenShot must perform when you make a screenshot by checking the desired operations. Capture the entire screen: Ctrl + Print screen. Capture the active window: Alt + Impr. screen. Capturing a region: Impr. screen. Capture the last region: Shift + Impr. screen. Capture Internet Explorer: Ctrl + Shift + Print screen. In general, and if you have forgotten the shortcut to capture a specific area of the screen , clicking on the GreenShot icon in the notification area gives access to all the screen capture features of the software. Important: puush listings are currently closed . It is therefore no longer possible for new users to use the software. Before talking to you about puush , I want to thank @ohundniquitweet for making me discover this screenshot software that I did not know! puush is a program that is mainly aimed at those who want to instantly share a screenshot with other users, for example on help forums. The principle of puush is simple: you make a screenshot and the software is responsible for putting it automatically online and provides you with the link for quick access! An internet connection is required to use this software. Indeed, all screenshots you take automatically sync with an account you need to create on puush.me. This account gives you access to an interface where you can manage all the screenshots you have taken. Note that you can drop any type of files into your account, not just screenshots. Without further ado, here is how to install and use this great screen capture software ! Start by downloading and installing the software from the link below. Launch puush , a window pops up and prompts you to create your puush.me account which gives you access to a 200 MB disk space. Click on the Take me to the account create page button ! under Create an account . A registration page on your internet browser opens. Fill in the necessary fields and click Continue to validate for puush.me account. Once your account is created, click on manage and log in to access your space and choose a username. Go back to the puush software you installed earlier, sign in again and click the Okay button , I've got it! . As always before using a software, a little tour in the settings Right click on the puush icon in the notification bar> Settings . The most interesting options are on the General tab. Copy link to clipboard : the web link to your screenshot is automatically put in the Windows clipboard. You just have to paste with Ctrl + V to drop the link! Open link in browser : Automatically open the screenshot you just took in your web browser. Save a local copy of image : saves the screenshot on your hard drive in addition to saving it to your puush.me account. You can also check for puush updates in the Updates tab or set your own keyboard shortcuts in Key Bindings . Ctrl + Shift + 2: Capture and put online the active software window. Ctrl + Shift + 3: Capture and upload the Windows desktop. Ctrl + Shift + 4: capture and put on-line a precise area of the screen with the mouse. Ctrl + Shift + 5: put the content of the Windows clipboard on his puush.me account. Ctrl + Shift + U: select files to upload to his puush.me account. Feel free to right click on the puush icon in the notification area to access recent uploads and main features of the software. Public : the files will be visible to anyone. Private : the files will be visible only to you ..
Gallery : The files that will be displayed in your slideshow accessible from the address puush.me/[your_user_name]/Gallery. You can edit, move or delete all your files really easily!